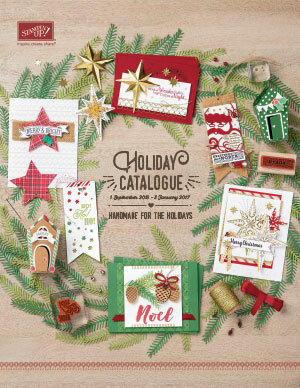 Gettin' Crafty with Jude: New 2014-2015 Annual Catalogue is LIVE!! New 2014-2015 Annual Catalogue is LIVE!! It's that time of the year again! The Release of our new 2014-2015 Annual Catalogue. If you don't already have a copy, simply click on the photo on the right hand side of the page and you can view it there. There are so many lovely new things that you will definitely want to add to your craft stash. 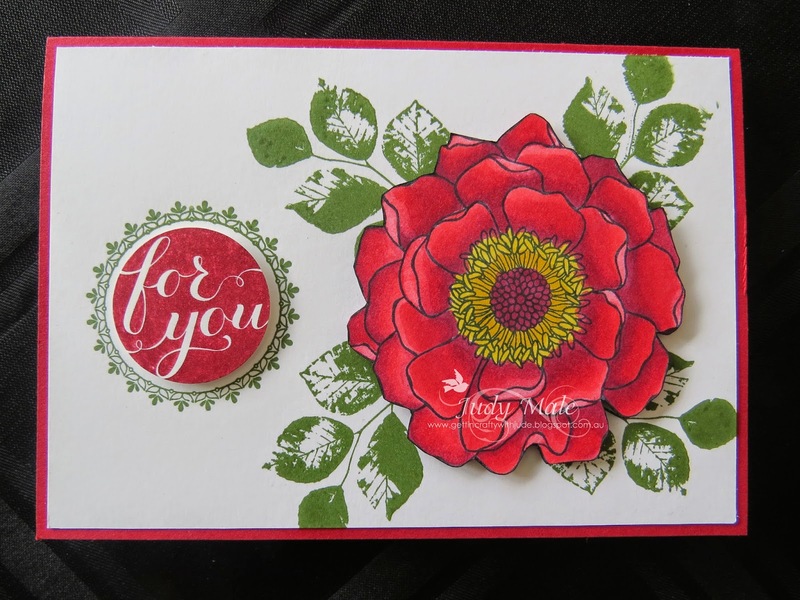 I have been having such an amazingly fun time, (almost obsessive) experimenting with our new Stampin' Up! Blendabilities. I didn't really think I was interested in colouring my images, but wow, they are really something. I'm sure you are going to love them as much as I do. 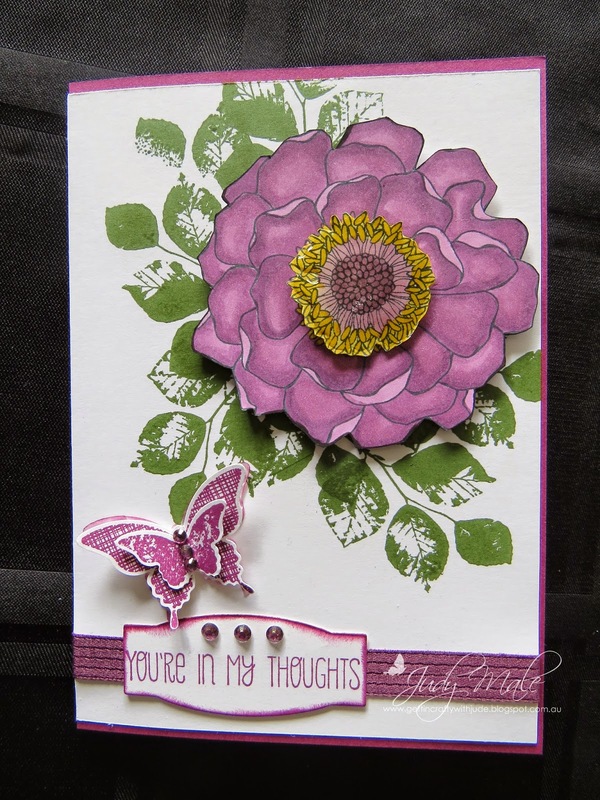 Blended Bloom - 1354906 $20.95AUD it is only available in wood mount. The leaves and Butterflies are from Kinda Eclectic Wood 135347 $48.95AUD and Clear 135350 $34.95AUD. How much fun have I been having??? I think you can tell! The Calypso Coral card is a bit different it has a Joy Fold and the black panel has been embossed using the Fancy Fan Embossing Folder 127751 $13.95AUD This is the card I demonstrated at our Team workshop last week. The wait is over! We've officially released one of our most exciting new products, Stampin’ Blendabilities Markers! These exclusive, alcohol-based marker sets come in a three-pack of light, medium and dark shades (of the same colour) and provide your projects a more saturated look with blended colours. 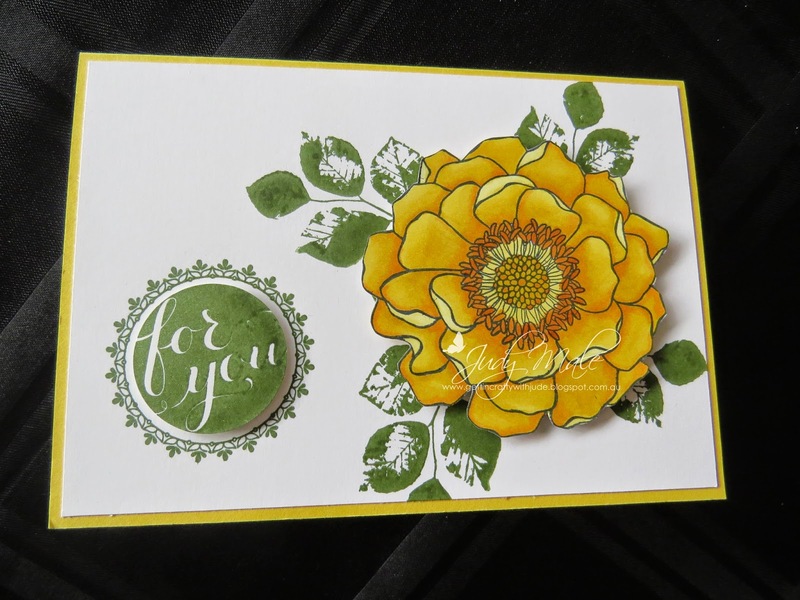 We recommend using Whisper White Cardstock with your Stampin' Up! Blendabilities, but choosing any one of our cardstocks will add a unique look to your project. And because traditional alcohol markers require a bit of training, we've developed a few videos to ensure that Blendabilities are easy-to-use for everyone! You can visit www.youtube.com/user/stampinupvideo to view them. July Workshop will be held at my house in Mornington on the 13th July at 1.00pm Cost $20 - including afternoon tea. At this workshop I will be launching the new 2014-2015 Catalogue. You will make and take 2 projects. Get your very own copy of the catty and see lots of the card samples I have made and also some from my fellow team demonstrators. You will be able to see a lot of the new products on display. We will have extra door prizes, a Mystery Hostess - where you could get the free Hostess Dollars from sales that exceed $300 on the day, that means $50 of your choice from the catalogue, and also a free gift for all attendees! A whole lot of fun is assured! You can pay by cash on the day or direct credit my account. I will give bank details on request. I know this will be popular (I already have quite a few on the list) so you may want to book in soon to secure your place. ok well I think that is enough for you to digest right now and I will show you some more of the new products very soon.